Alicia Keys gave us resort-style fierceness while onstage at the Empowerment Experience. 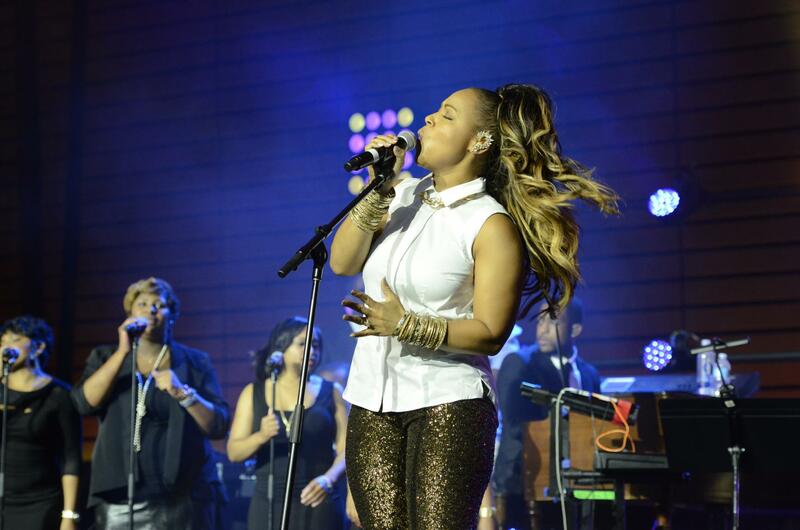 Erica Campbell performs at the 2014 Empowerment Experience looking flawless all the way down to her accessories! Standout pieces: Sequin joggers and crystal-embellished ear cuff. 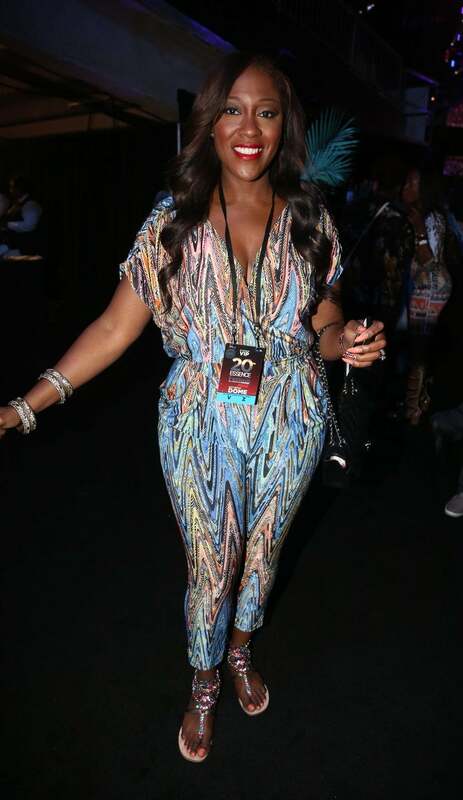 Coko was spotted in the VIP lounge looking cute and casual in a multi-colored jumpsuit. 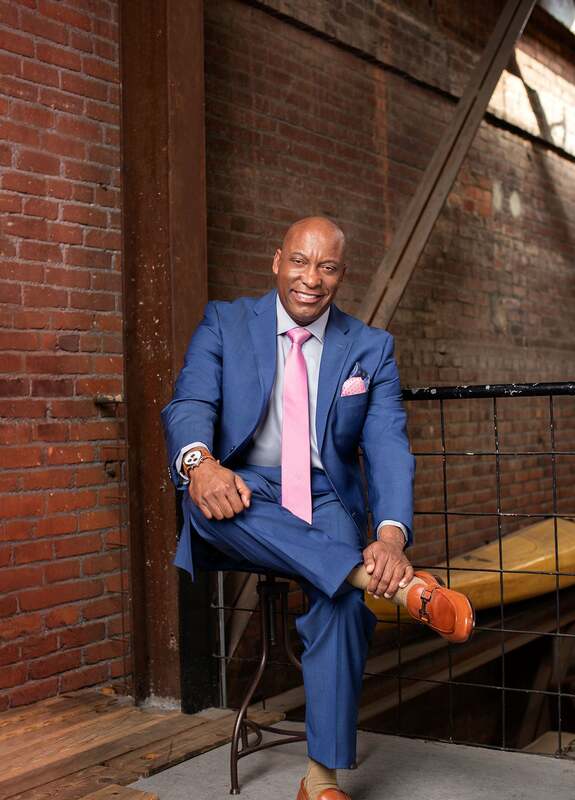 Tamar Braxton was snapped backstage at Essence Fest 2014 looking white haute! Tika Sumpter & Chenoa Maxwell were spotted in the crowd looking fab in stripes and florals.